Your Daily Number is based on your Personal Year, Month, and Day number, as well as your Daily Bridge number, allowing for a more detailed and specific forecast. Enter your first name and date of birth on the left. The Daily Number Forecast is also part of the WN Collection, which allows you to check up to 90 days ahead. Usually, Daily Numerology Forecasts are based on a single number - the Personal Day number. You can learn how to calculate it here. Hans Decoz' Daily Forecasts are based on several additional numbers found in your chart, including your double-digit Day number, your Personal Month number, and your Daily Challenge number. This creates a more in-depth and detailed picture for any specific day. You can see the numbers at play above your forecast. Your Personal Month cycle greatly affects the daily cycle. For example, a 7-Day in a 4 Personal month feels entirely different than a 7-Day in an 8 Personal Month. Similarly, a 7-Day based on 16 (1 + 6 = 7) doesn't have the same effect as a 7-Day based on 25 (2 + 5 = 7). Your Daily Challenge number also adds more detail by revealing a particular lesson or challenge you will face that day. 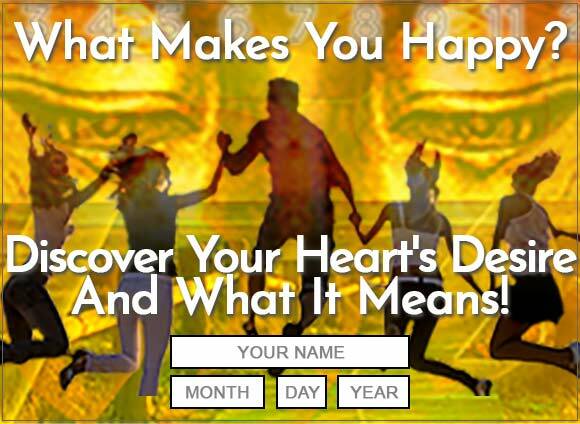 We hope you enjoy your free Daily Numerology Forecast – stop by to check it as often as you like. Or, to view your free numerology forecast up to 3 months ahead, check out the World Numerology App – for computer, phone, and tablets.